Reviewed by Meredith Watkins, M.A., M.F.T. Meredith Watkins is a licensed marriage and family therapist who specializes in dual diagnosis and eating disorders. Based on a 2012 survey published by the American Pain Society, around 50 million Americans suffered from severe pain or significant chronic pain. Also in 2012, over 250 million prescriptions were dispensed for opioid pain relievers – enough for every single adult in the United States to have a bottle of pills, the Centers for Disease Control and Prevention (CDC) reports. Prescription opioids interact with opioid receptors in the brain, intercepting and warding off pain sensations. They also slow down heart rate, blood pressure, and breathing rates, inducing a sense of relaxation. 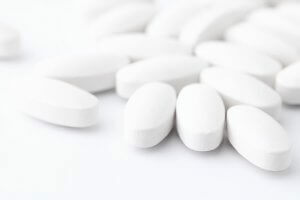 Most prescription opioid drugs (including Vicodin, Dilaudid, OxyContin, fentanyl, and methadone) are classified as Schedule II controlled substances by the Drug Enforcement Administration (DEA). Even though they do have accepted medical use, they also have a high potential for diversion, misuse, and dependence. The National Institute on Drug Abuse (NIDA) reports that about 54 million Americans have misused a prescription drug at least once in their lives. At the time of the 2014 National Survey on Drug Use and Health (NSDUH), approximately 4.3 million American adults were considered to be currently abusing prescription painkillers. Taking these drugs, even as directed, can lead to physical and psychological dependence, as the brain gets used to the chemical changes incurred by their interference. When an opioid drug enters the brain, fills an opioid receptor, and depresses the central nervous system, it also increases the presence of dopamine and endorphins. Dopamine is one of the brain’s chemical messengers, or neurotransmitters, that signals feelings of pleasure. With repeated chemical interference, the brain may stop making and absorbing dopamine naturally, and brain chemistry may be negatively impacted. This is called drug dependence. When an opioid drug wears off, dopamine levels dip and both physical and emotional discomfort can occur. Opioid withdrawal can be difficult, and individuals may struggle to stop taking prescription painkillers as a result. A loss of control over dosage and the frequency of taking these drugs, and overall compulsive drug use, may result; these are the hallmarks of addiction. According to the American Society of Addiction Medicine (ASAM), 2 million Americans battled prescription opioid addiction in 2015. Physically, opioid withdrawal is typically similar to a particularly bad case of the flu, including symptoms like stomach pain, nausea, vomiting, diarrhea, sweating, chills, muscle aches, runny nose, tearing of the eyes, and insomnia. Emotionally, individuals are likely to feel anxious, depressed, irritable, and agitated in addition to suffering from strong cravings for the drugs. The National Library of Medicine (NLM) publishes that withdrawal symptoms likely begin within about 12 hours after the last dose of an opioid drug. Autonomic functions of the central nervous system that have been regularly suppressed by the opioid drug can become hyperactive during withdrawal, and things like body temperature, respiration, heart rate, and blood pressure can be irregular. Admission to a medical detox program is ideal to stop taking pain pills safely. Withdrawal symptoms that result from stopping a prescription opioid pain reliever once a dependence has formed can be extremely uncomfortable, and for this reason, it is not recommended to stop taking these drugs “cold turkey,” or suddenly. Instead, they are often tapered off slowly over a set period of time to allow the brain a chance to recover and re-stabilize itself. Methadone: A long-acting opioid agonist, methadone can be dispensed by federally regulated clinics in a pill form once a day to control cravings and withdrawal symptoms. Methadone is still an opioid agonist that interacts with opioid receptors in the brain like other opioids do; it just lasts longer, meaning that people won’t need to take high doses frequently to keep withdrawal symptoms and cravings in check. Buprenorphine: This is a partial-opioid agonist that activates opioid receptors but to a lesser extent. Buprenorphine has a “ceiling effect” in that after a certain amount is taken, it stops having any effect. This makes it less likely to cause a euphoric “high” and therefore less likely to be abused. Buprenorphine can be dispensed by eligible physicians out of an office setting and picked up at a local pharmacy, coming in both pill and sublingual filmstrip forms. In May 2016, an implant version of buprenorphine, Probuphine, was approved by the FDA. This form can be implanted in the arm to slowly release medication in a controlled fashion for a period of six months. Naltrexone: This is an opioid antagonist drug that serves to block opioid receptors from receiving any opioid drug stimulation. This medication is generally reserved for late-phase opioid addiction treatment in order to foster abstinence since it may precipitate withdrawal if taken when opioid drugs are still present in the bloodstream. Buprenorphine/naloxone combination medications: Medications like Zubsolv, Bunavail, and Suboxone are combination medications that can be useful in helping to regulate cravings and withdrawal symptoms, while also preventing relapse. The naloxone component is an antagonist that remains dormant unless the drug is misused. Medications designed for treating opioid dependence can be helpful for someone who has been taking pain pills for a long time. When dependence on opioids is significant, other drugs are also used, or there is a co-occurring disorder, medical detox is without a doubt the safest way to approach withdrawal. During medical detox, vital signs can be continuously monitored and, in addition to the aforementioned replacement medications, other pharmaceutical tools can be useful to manage specific symptoms of withdrawal as well. Mental health and safety are ensured with 24/7 supervision and professional care. Opioid withdrawal typically peaks in the first 2-3 days, and the majority of cravings and side effects start to lessen after about 7-10 days, SAMHSA publishes. A medical detox program generally runs about 5-7 days on average, and the person is then transferred to a comprehensive addiction treatment program at that point. Detox and medications are only part of the answer for stopping pain pills and staying off them. They can be great tools to help process these drugs out of the body and reach a safe physical balance; however, the emotional aspects of drug dependence and addiction need to be handled too. Relapse is common and can be particularly dangerous after detox and a period of abstinence. For this reason, counseling and therapies are essential in helping to prevent and minimize relapse. Behavioral therapies help individuals learn how to control cravings, recognize and manage potential triggers for relapse, and form healthy coping mechanisms for handling stress. Therapy and counseling sessions typically include both individual and group formats. A residential addiction treatment program is often recommended in cases of severe or long-term painkiller abuse. These programs can promote overall healing and wellness by attending to both physical and emotional needs. For example, therapy and counseling improve self-reliance and emotional balance while physical health is improved with nutritious and balanced meals, regular physical activity, and structured sleep schedules. Malnutrition is often a side effect of chronic drug use, and healthy sleep, exercise, and eating habits can promote healing. The brain will need time to restore its balance without drugs, and a comprehensive addiction treatment program can provide the time and space for this to take place. Stopping pain pills and managing opioid dependence may be particularly complicated for those who suffer from chronic pain. Fortunately, there are several pain-control alternatives to prescription painkillers. Some tips for controlling pain without medications are outlined below. Reduce stress. High levels of stress can contribute to pain sensations and also be a potential trigger for relapse. Relaxation and stress management techniques can help with both. Try mindfulness meditation or yoga. Learning how to read the body’s cues and becoming more in tune with the physical self can ease tension and promote relaxation, and may also reduce a person’s sensitivity to pain. Exercise regularly. When a person exercises, the body produces natural endorphins, which can help to minimize pain sensations and enhance “feel-good” sensations. Consider massage therapy. Tension can be relieved by a good massage; thus, pain can be reduced. Get good sleep. Healthy amounts of sleep are important to healing and managing stress and tension. Eat healthy meals. A balanced and nutritious diet can help the body to function at its highest level, helping to minimize stress and pain. Try chiropractic care. A trained chiropractor can perform physical adjustments to promote healthy body functioning and reduce tension and pain. Consider acupuncture. Another alternative technique, acupuncture uses needles placed in specific points in the body to enhance the flow of energy and reduce physical and emotional discomfort. Keep busy. Hobbies and creative outlets, as well as anything that occupies the mind, can help a person to focus on other things besides physical pain. Treatment programs provide a strong foundation for preventing relapse and maintaining long-term abstinence. It is important to remain in a treatment program for long enough to allow the brain time to heal and for healthy habits to become more natural. NIDA recommends that a person remain in an addiction treatment program for at least 90 days. Support groups can help. Twelve-Step programs, like Narcotics Anonymous (NA) or Pills Anonymous, provide people with a healthy social outlet of peers who can empathize and relate to each other. Alumni programs can also be helpful, as they keep people connected to their treatment program and others in similar circumstances. Surrounding oneself with others who are striving toward the same goals, and supportive and encouraging, is highly beneficial in recovery. It is important not to get complacent and to keep working the program. Don’t be afraid to reach out to a trained professional, mentor, family member, or friend when cravings appear. Talking about it and keeping an open line of communication is vital to resisting temptation.